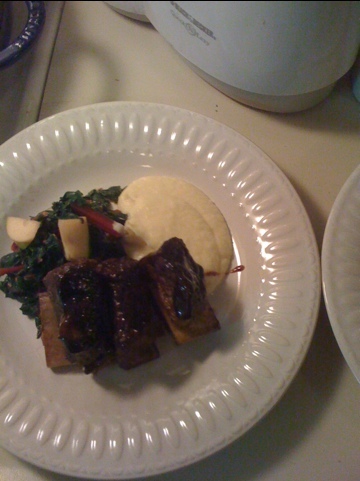 It’s really not that I’m lazy… I just don’t have a lot of spare time to write about my cooking. Obviously we all need tricks to speed up our day. Especially in the kitchen. I present you with two easy tricks to make things go a little smoother. 1) It’s summer and it’s hot. Use the hot box that is your car as a quick place to sun dry herbs. 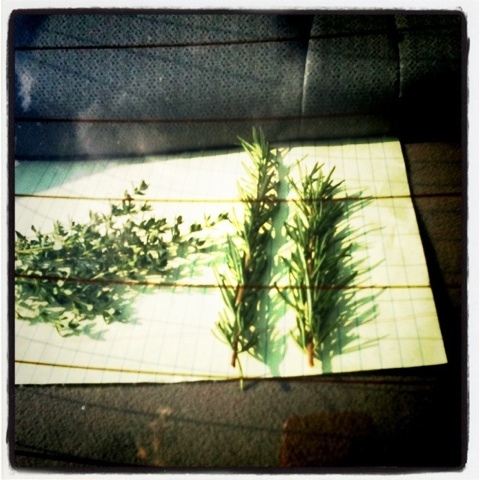 Place paper towels, parchment, or just plain legal paper in the back window then put your herbs on top to dry. 2) In a pinch for barbecue sauce? Mix honey and a dark beer let them reduce until thick. Add ketchup and stir. A little salt and pepper to taste and you are done. Guiness Barbecue Spare Ribs are easy with this quick sauce. This entry was posted on June 8, 2011, 6:15 pm and is filed under cheat. You can follow any responses to this entry through RSS 2.0. You can leave a response, or trackback from your own site.